It’s not just grass that makes the grounds of your home or business stunning and beautiful. Choosing the right plants and making sure that they are properly cared for can really enhance the aesthetic look of your grounds and boost your property’s curb appeal. L.I. Elite Lawncare will handle your planting for you and will make sure they fit well into your overall landscape design on Long Island. There are two types of plants that we will be able to put into the ground, usually in early to mid-May. These plant categories are called annuals and perennials. Annuals are plants that will display flowers during the growing season and usually die off in the fall because they have a short growth cycle or because they can’t survive in the cooler climate of the northeast. Perennials are plants that have roots that live on for more than one year, but their stems do die off in the winter. Both annuals and perennials can make your grounds look more colorful during warm weather months and can add flair to your landscape. L.I. Elite Lawncare is happy to talk to you about any planting that you might need for your home or business. If you have ideas about what you would like to have planted, don’t hesitate to talk to us. If not, we’re happy to make some suggestions that will really help your lawn stand out. 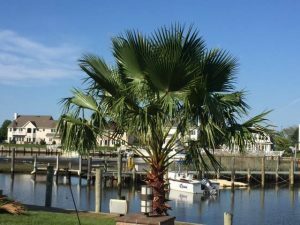 We even handle popular plants like palm trees and Leyland cypress trees. We’ll take care of planting flats, which are trays of several dozen flowers and we’ll make sure that your perennials and annuals blend in naturally with the rest of your grounds. L.I. Elite Lawncare takes the headache out of planting season with our expert residential and commercial lawn care and leaves your grounds looking spectacular. To get started call us at (631) 277-1111 or contact us today!